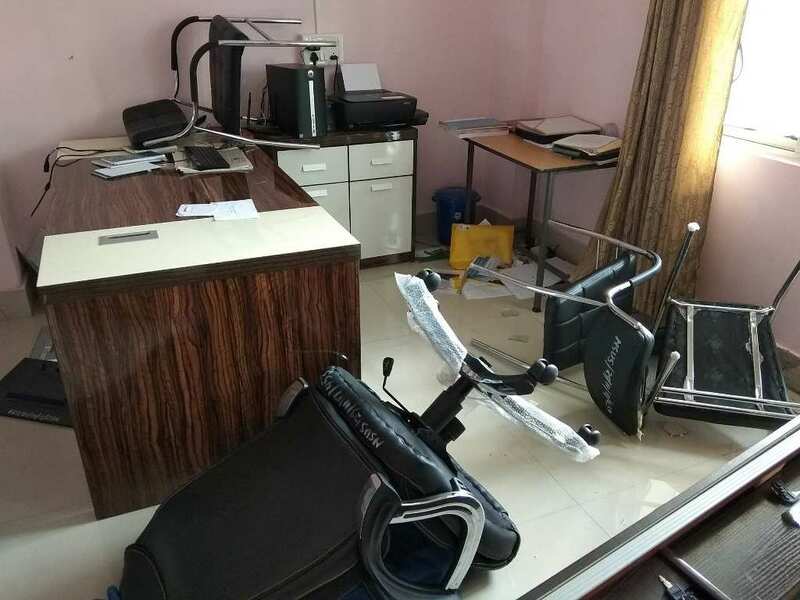 Imphal, June 1 : Volunteers of Democratic Students’ Alliance of Manipur (DESAM) ransacked the Administrative block office of the National Sports University located at Manipur Olympic House in Khuman Lampak Imphal at around 11.30 am today. The students’ body turn violent today morning after the state government as well the central government failed to listen to their demand for opening of the major disciplines department here in the state. Salam Akash president of DESAM while talking to media persons said that they have been demanding for opening of the Sports Journalism Dept., Sports Management Course and Performance and Analysis course since the last couple of days after news report of opening new campus at Lucknow in UP and other states comes to the limelight. Interestingly, recruitment notice for the said department demanded by the DESAM to open in the state of Manipur has been issued for the Lucknow campus, which means that the demands of the students’body is not listened. “We don’t care whether we die or not but will intensified our agitation until the demand are fulfilled”, Akash who led today DESAM volunteers told media persons. The students body vandalised all infrastructure including television sets, computers, table , Chairs and the windows of the Administrative Block. Such a gorgeous spread! I love Nutella with just about anything added to it.